Thread: Don't dump Biodiesel byproduct in the bush, Especially in a water catchment! A BEDFORDALE man’s reasoning that biodiesel waste was “good for the trees” was not enough to avoid a spent conviction and $1500 fine in the Armadale Magistrates Court. The Department of Water and Environmental Regulation (DWER) pursued the prosecution after the man was seen pouring liquid waste into the bushland at the Churchman Brook Catchment Area – a Priority One public drinking water source area. 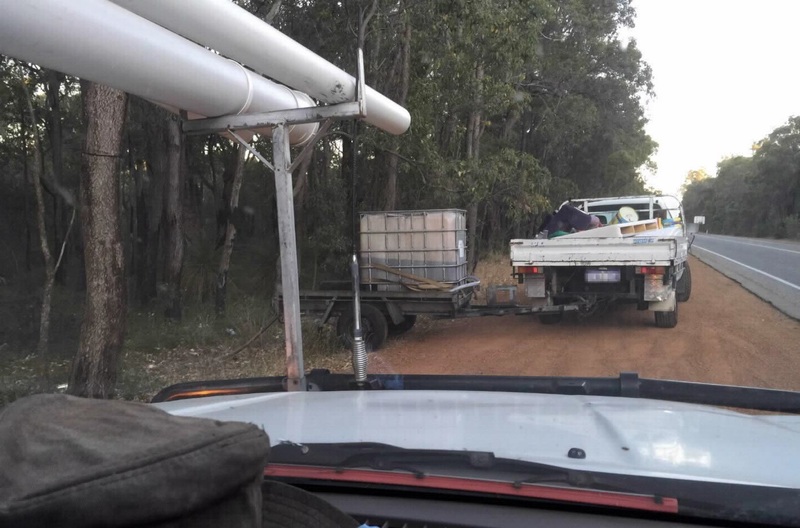 Witnesses had reported seeing the offender parked on the side of Albany Highway in Bedfordale on November 30, 2015, a hose leading from the 1000 litre bulk container on his trailer into the bush. A photo showing the illegal dumping of biodiesel waste.DWER testing at the site found evidence of oil and grease. The offender was ordered to pay $3174.60 to the Department of Biodiversity, Conservation and Attractions, who paid for the affected soil to be removed, and prosecution costs of $2117.50. An expensive lesson for the man. Oh, It was not me either. I don't even know the culprit. Re: Don't dump Biodiesel byproduct in the bush, Especially in a water catchment! Besides the damage to the environment just think of all that residual methanol and potassium going to waste. Tilly could have been glyc washing forever with that lot! How do you know he had not already performed a first stage glycerine pre-wash reaction with this by-product? Last edited by tillyfromparadise; 15th March 2018 at 07:00 AM. Well, what can I say, If you're parking your car with a trailer like that on a main road or Highway you deserve to be caught. Why would one not drive down a dirty road in a state forest or so. AND I AM NOT SUGGESTING ANYTHING HERE !!!!!! !